Online casino games are fun, entertaining and provide the potential for big wins. Yet many people are reluctant to try them out owing to concerns about safety. When it comes to providing banking details and other sensitive personal data, many people question whether such information is kept secure and protected by casino operators. There are others who wonder if games are fair. 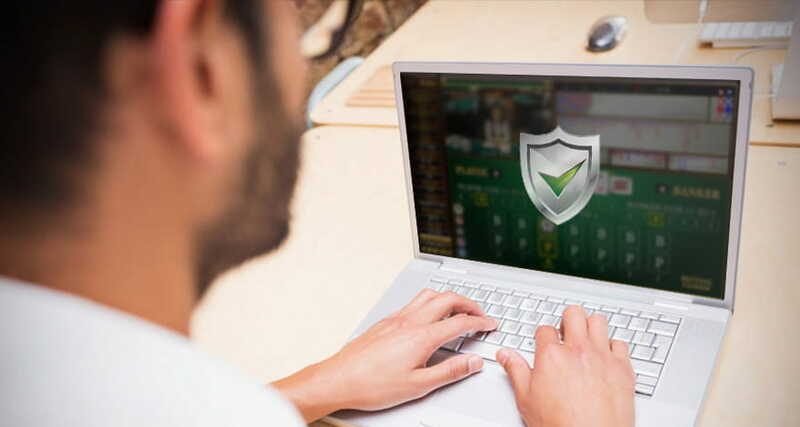 Whether you are new to online gambling, or if you have had a bad experience playing online in the past, this article will show you how to identify the truly safe online casinos that can be trusted. Whilst it is true that there are some dodgy dealers on the net that are out to scam players, there are plenty of others that provide a great gaming experience in a secure environment. This post will show you how trustworthy casinos protect their players and what to look out for to ensure you only play at a reliable and reputable casino. Let’s now look more closely at each of these factors, why they are important and how you can use them to verify that a casino is safe to play at. There are a range of respected authorities that provide remote gambling licences to online casino operators. A licence will only be granted when the operator proves that they adhere to the strictest standards of player protection. Casinos are also closely monitored and regulated once their licence has been issued to ensure that these standards are upheld. Some such respected authorities include the Alderney Gambling Control Commission, the Isle of Man Supervision Commission, the Gibraltar Gaming Commission & Authority and the Gaming Commission of Malta. When it comes to British players, you need only look for a licence from the UK Gambling Commission to confirm the validity of a casino. It is a legal requirement for any operators providing services to players in the UK to obtain a licence from the Gambling Commission. Such a licence is only awarded when the casino has proven that their games are fair, that player privacy is protected and that the company operates in a socially responsible manner. The Commission’s logo will be displayed in the footer of the casino website, and by clicking on it, you will be directed to the official register that confirms the casino is licenced. Fair games are clearly an important factor in identifying a legitimate casino. Genuine operators provide transparency when it comes to the integrity of their games. Their random number generators (RNG) are regularly tested by independent, commission approved specialists. Intensive testing is performed over thousands of rounds of games to verify that the results are truly random and that game results are not rigged. Some such leading testing agencies within the industry include eCOGRA, GLI, TST and Gaming Associates. These companies also analyse how much of all money bet across all game types at an online casino is paid back to players. They produce reports indicating the payout percentage of all games at the casino, and these reports are readily available to view on the websites of reliable casinos. Ensuring that your private information is protected is a top priority when playing online. After all, in order to play real money games, you will need to provide sensitive banking data, as well as personal details such as your full name, address and date of birth. Reputable casinos use sophisticated technical security to ensure that such data is strictly protected. Financial transactions are processed securely using SSL (Secure Sockets Layer) protocol. This ensures that any sensitive data passed between your pc and the casino website is encrypted and cannot be hacked or leaked. Reliable operators also use top notch computer security software to ensure their websites are free from spyware, malware and viruses, ensuring a safe and protected experience. In addition to holding a valid licence, providing fair games and using top-notch technical security, safe casinos also boast various other key attributes. They accept a wide variety of safe payment methods, for hassle-free, swift deposits and withdrawals. Their bonus offers are fair and have favourable terms. Plus, quality customer service is readily available as and when you need it. Furthermore, genuine casinos operate responsibly and take a number of measures to protect their players from problem gambling. When you play at an online casino, there will probably be times when you need some help and support from the operator. Honest casinos provide a variety of options to contact the customer service team. These include email, phone and live chat. The most reliable operators provide these services round the clock, so you can always get the help you need, regardless of when that might be. The quality of the customer service should not be underestimated. At reputable casinos, you will get a quick response to any query you raise. Furthermore, the customer service agents will be knowledgeable, polite and helpful. One of the key highlights of playing at an online casino is the rich variety of bonuses up for grabs. From the moment you join an online casino, you will find various bonuses and promotional offers that you can take advantage of. It is important to know that all bonuses come with a wagering requirement, to ensure that they are used to play games. The wagering requirement of legit bonuses can vary from around 20x – 50x. If you are being asked to wager your deposit and bonus 100x, alarm bells should start ringing. Yet on the other hand, a lack of clear and easily accessible bonus conditions should also make you question the validity of the casino. Whilst encryption technology ensures that depositing and withdrawing at an online casino is safe and protected, there are further considerations to keep in mind. Legitimate operators tend to process banking transactions quicker than untrustworthy operators. Respectable casinos also accept a wide variety of trusted online payment methods. These include not only credit and debit cards, but also e-wallets such as PayPal. As a leading provider of safe and secure online payments, PayPal will only authorise a casino to offer the payment method when there is absolutely no doubt that it is safe and secure. They would not risk their reputation by associating themselves with dodgy operators. Trustworthy operators will perform an identity check prior to making your first withdrawal. This is a licencing requirement that protects against fraud and money laundering. Whilst playing online casino games provides great entertainment and is a fun pastime for many, there are some players who may succumb to gambling addiction. Serious casinos operate responsibly and provide a variety of tools to help players self-manage their gambling habits. These include options to set deposit and playing time limits, as well as the option to self-exclude altogether. Reputable casinos work closely with organisations and charities that tackle problem gambling to try and protect their players. They include links to organisations such as GamCare, GambleAware and Gamblers Anonymous, among others, who can provide help and support to anyone affected by gambling addiction. Conclusion – Safety Comes First! Your safety should be your number one priority when choosing an online casino to play at. Never take any risks to your safety when gambling with real money. There are many safe, dependable and reliable online casinos where you can experience the thrill of gaming in a secure environment. By doing a little bit of research before joining a casino, you can play with complete peace of mind that you will be safe and protected. Is it safe to play casino games on my mobile? Operators use the same technology on their mobile casinos as their desktop versions to ensure that your personal data is kept strictly protected. Yet there are a few extra steps that you can take to maximise your level of protection when playing on the go. For starters, it is recommended to use a secure Wi-Fi network and avoid public Wi-Fi when signing into your casino account. Plus, avoid saving your casino log in details on your mobile. As such, if your mobile phone is lost or stolen, you can be certain that no one else can access your account and spend your money. This term is used to refer to untrustworthy casinos that players should be very wary of. They may be unlicensed, they may withhold a player’s winnings for arbitrary reasons, they may even sell your personal data on to third party companies. In short, rogue casinos do not protect their players and should be avoided. Britain's General Elections to Be Announced during...You bet it!